Seer uses powerful spatial analytics tools to help YMCAs understand their communities. Our analysis is more than simply understanding the physical location of key assets on a map. It’s about gaining a richer perspective on service offerings, member interaction, transnational information, and how location and demographics play into an Association's performance. Seer’s Digital PMA is a powerful spatial analytics tool that provides Ys with a better understand of their diverse market areas and members. It equips leadership with invaluable data for capital planning, membership, marketing and fundraising efforts. How does it help your Y? This demographic study predicts market areas for proposed YMCAs. 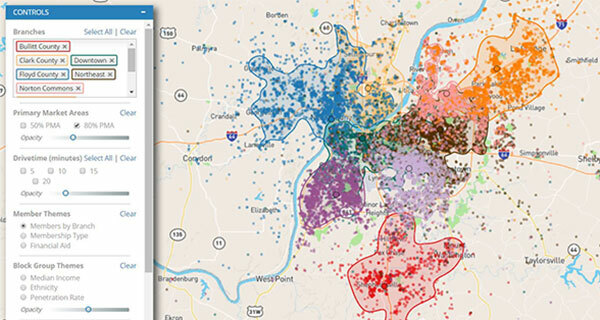 Using Seer's proprietary YMCA membership predictive model, it estimates the number of households that will join the Y and identifies potential overlap and the effect it will have on neighboring Ys. It's a quick and inexpensive way to understand the potential of a new YMCA facility.